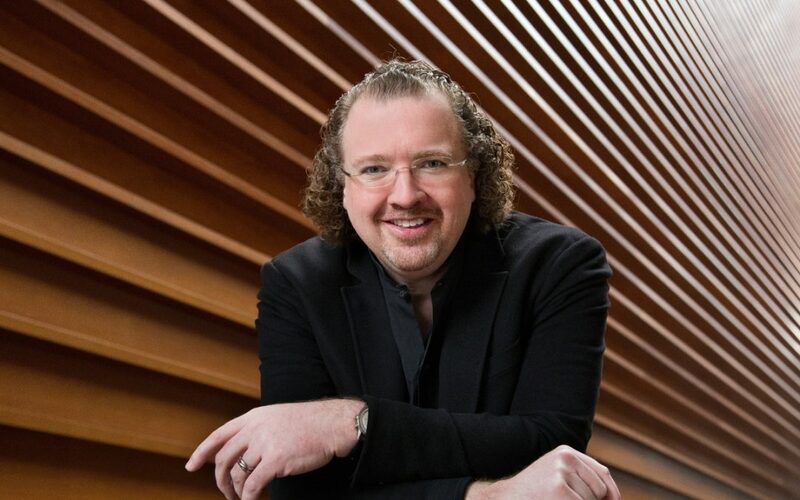 Stéphane Denève has extended his contract as principal guest conductor of the Philadelphia Orchestra for three more years, through the 2019-20 season. Known for his musical skills, his charmingly accented remarks from the podium, and his enthusiasm for new music (including his beloved John Williams), Denève has quickly become a favorite with Orchestra fans, whether at home in Verizon Hall, or in Saratoga, Vail, or Florida (where he’s leading the Orchestra on tour this week). When he wraps up his first contract at the end of this summer, Denève will have conducted over 90 performances with the Orchestra, more than any other guest conductor during that time period. This includes more than 100 works, from Classical to contemporary, including presentations with dance, theater, and cirque performers, and of course film (he led an emotionally charged performance of John Williams’s timeless score for E.T. the Extra-Terrestrial during a live screening). Still to come this April in Verizon Hall: Denève leads a program of Scandinavian music from Grieg to Sibelius, and a festival devoted to Rachmaninoff, the composer most closely associated with The Philadelphia Orchestra. When he’s not enchanting our audiences, Denève is chief conductor of the Brussels Philharmonic and director of the Centre for Future Orchestral Repertoire in Brussels, as well as maintaining a busy conducting schedule in leading concert halls all over the world. Still, it’s safe to say Stéphane Denève has an extremely close connection to Philadelphia.